THE RexMover shuttle cylinder from Bosch Rexroth has undergone further development, and is now equipped with a pneumatic brake. The brake function is passive, which means it will be activated immediately to lock the shuttle in the event of pressure loss or a hose break. High locking force, about 10 bars of active force applied to the cylinder, regardless of its size, means secure locking during other work operations. One advantage is the short response time for locking and releasing the brake. 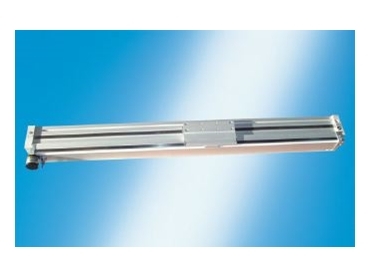 It can also be used in vertical installation of the cylinder. The brake can be ordered with an encoder for position sensoring. In addition, it is also easy to install and can be ordered separately, without the cylinder itself. This is financially advantageous if the need for a brake arises after the cylinder has already been installed. It is tailored to the following sizes: 32, 40, 50 and 63mm and suitable for applications such as vertical conveyors and pick-and-place units.